Learn More During One of TeleHealthRobotics’ Open Forums - Join us for a Google Hangout to see TRUDI in action and participate in a live, interactive forum. Chat with the TeleHealthRobotics team, our clinical partners, and your fellow caregivers, patients, technologists, and healthcare colleagues from around the world about this exciting innovation in healthcare technology. See schedule at left. You don't have to pay to attend, but your show of interest is helpful to the cause and we appreciate it! Show the world you care about making cardiac care safer, more accessible, and more affordable. Here and on our website, in perpetuity, we will list you and whom you are honoring with your donation as a Pioneering Sponsor with our sincere thanks. FOR PARTNERS, ADVISERS OR INVESTORS: BUY US A VIRTUAL CUP OF COFFEE and we will set up a teleconference to talk about this project, our plans, and how we might collaborate. FOR PARTNERS, ADVISERS OR INVESTORS: BUY US A REAL CUP OF COFFEE and we will come to you anywhere in Chicago to talk about this project, our plans, and how we might collaborate. For non-local meetings, please See the FLY US version below. Note: this is NOT an investment in our company. Get a TeleHealthRobotics branded USB charger and a limited edition TRUDI t-shirt to show everyone you are part of the telerobotic revolution! Plus, here and on our website, in perpetuity, we will list you and whom you are honoring with your donation as a Founding Sponsor with our sincere thanks. TRY TRUDI. Our team will set up a local or remote session allowing you to take the controls and see how the system operates for yourself. FOR PARTNERS, ADVISERS OR INVESTORS: FLY US A CUP OF COFFEE and we will come to you anywhere in the continental United States to demo the product and talk about the project and our plans on a deeper level to see how we can help each other out. For local meetings, please See the BUY US version above. Note: this is NOT an investment in us, you are just covering the cost for us to come visit you in person. For a phone call, please also choose the BUY US version above. TRUDI RESERVE. Already know you want TRUDI as soon as possible? Then reserve your TRUDI today. You will get first access to the released product, discounted pricing and more perks starting immediately. Call or email for details. Membership on our external advisory board (renewable on an annual basis), with access to confidential, bi-annual technical and program updates from THR. Members of our external advisory board will have valuable insight into the development of this technology and marketplace, with first-mover capabilities for strategic partnership, co-branding, distribution, or future investment. Please join us for a Google Hangout to see our robotic system (TRUDI) in action and participate in a discussion forum. Speak with the TeleHealthRobotics team, our clinical partners, and your fellow caregivers, patients, and technologists about this exciting innovation. Sign-up to attend in the Rewards Section to the right! We provide a telerobotic platform to hospitals that enables safer and cheaper life-saving cardiac care. Our product TRUDI (Tele-Robotic Ultrasound Distance Imaging) brings together robotic hardware, control software and video conferencing to improve heart valve replacement procedures. TRUDI is developed for hospitals that perform minimally invasive aortic heart valve replacement surgery for patients whom have aortic stenosis. There are 300,000 patients in the USA and EU eligible for tAVR every year. This population is growing at over 10% a year. The market for tAVR is $15B. The market for TRUDI is over $1B. Our technology is building on the growth of tAVR as a replacement for open heart surgery to treat aortic stenosis. tAVR’s replacement of open heart surgery as a treatment for aortic stenosis is analogous to the well-known replacement of coronary bypass surgery by coronary angioplasty. tAVR transports a compacted valve through the arterial system by a thread. In order to view the heart structures during tAVR (since the chest is not open) ultrasound and xray imaging are needed. Replacing TEE with TRUDI’s robotic TTE solution is beneficial to patients, physicians, and hospitals. Improves quality of care by eliminating procedural complications (including death) caused by TEE and general anesthesia. May expand the eligible patient population because the only reason general anesthesia is used for tAVR is due to TEE which TRUDI eliminates. Some patients may be better candidates for life-saving tAVR if general anesthesia were eliminated from the procedure. Reduces hospital stay. Pre and post -procedural care as well as the procedure time itself will be drastically reduced without general anesthesia. Over time, rather than requiring an overnight hospital stay and recovery, tAVR will become an outpatient procedure. Increases procedural efficiency. Eliminating general anesthesia could reduce tAVR time by up to half allowing the large procedural team to move on to other reimbursable activities. Frees up the echocardiographer. During tAVR the echocardiographer monitors the ultrasound images and confirms that the proper placement of the new heart valve has been reached. These physicians are being held increasingly accountable for their productivity and dedicating a half day or more to this procedure when their consultation is often only needed intermittently is a big time sink. TRUDI can free the echocardiographer from the procedural suite, allowing him/her to support tAVR from anywhere they happen to be working while TRUDI maintains a proper image locally. An echocardiographer can be reading studies in the echo lab, and interact with the interventional team in real time with echo guidance for the procedure as they are needed. Maintains echocardiographer safety. tAVR requires xray. TRUDI keeps echocardiographers safe from radiation exposure they would otherwise have if they did surface echo (TTE) manually because the robotic system holds the TTE probe in the xray field and the operator can tightly control the probe’s motion from safely outside it. Enables more consistent and precise imaging. Robots don’t get tired. With TRUDI echocardiographers can maintain an appropriate TTE image for the duration of the tAVR procedure. Fine movements of the probe are needed throughout the tAVR procedure to enable best visualization of the catheter and placement of the new heart valve. Human controlled robotic systems can place the probe and navigate between views of the heart as, if not more, precisely than manual human operation allows. Reduces cost. tAVR is reimbursed under DRG, which means a fixed payment is given to the hospital for all expenses associated with the procedure as well as pre and post procedural care. This provides a strong incentive for hospitals to lower their procedural costs to optimize profitability. TRUDI reduces the costs of tAVR by eliminating the direct general anesthesia labor and supplies expenses as well as the indirect opportunity costs generated by the inefficient use of all staff that are bottlenecked by the general anesthesia process. Hospitals can expect a 63 day ROI on their purchase of a TRUDI system and maintenance plan based on elimination of direct general anesthesia cost alone. Maximizes future profitability. In the future, tAVR could be done as an outpatient procedure, the payout for which is based on the more lucrative fee-for-service model. Enables competitive differentiation. Many hospitals are in very competitive markets for cardiology patients. These providers are continuously working to differentiate their cardiology programs from the local competition, and tAVR is perhaps the most high-profile procedure in this arena. Given the option, patients will choose a location providing tAVR with TRUDI: outpatient without TEE and general anesthesia. Provides technology leadership status. Hospitals look to gain status as leading centers of technological and care delivery innovation. Adoption of high technology like the TRUDI platform can bolster a hospital’s leadership status in the clinical community providing higher rankings, more media coverage, more philanthropic activity, more research grant awards, and more profit opportunity. THR is creating technology that is complementary to a large number of potential partners – ultrasound manufacturers, catheter and heart valve companies, and a wide variety of companies in the areas of virtual radiology and telemedicine. We believe there are tremendous possibilities for strategic collaboration. 1. Convergence of technologies. Highly capable robotic systems are becoming increasingly inexpensive. Remote control systems are becoming increasingly more capable of imitating human tasks in real-time. 2. Proprietary platform composed of off-the-shelf parts. 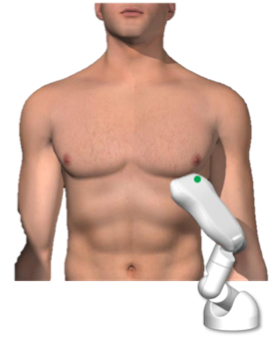 The THR platform includes a PC-based, FDA-cleared ultrasound system, a sophisticated, low-payload robotic arm, and a software control interface that includes tele-presence, ultrasound soft controls, patient simulation, and a series of remote sensing capabilities for safety and precise probe manipulation. TeleHealthRobotics and its clinical research collaborators published a peer-reviewed study in the Journal of the College of American Cardiology (JACC: Imaging) in August of 2014 demonstrating concept viability. The company is currently engaged in a multicenter clinical trial at Rush University Medical Center (Chicago, IL) and Mount Sinai Medical Center (New York, NY). This study will establish the safety and efficacy of the technology in interacting with human patients and is the next step towards a market-ready product. THR will be seeking Class II 510k certification from the FDA for its telerobotic ultrasound device. THR anticipates a swift timeline to accomplish these 3 tasks and ascertain FDA clearance given that there are numerous predicates currently on the market, the device presents Non-Significant Risk to patients, and the company only has to prove safety and efficacy of the device, not diagnostic image quality. TRUDI is a major advancement for tAVR, and will directly reduce morbidity and mortality for aortic stenosis by expanding the use and applicability of this life-saving procedure (the only cure for aortic stenosis) to a larger percentage of patients. This is just the first step for TRUDI! Our telerobotic ultrasound platform can be used throughout the hospital to enable faster follow-up ultrasound for patients post-procedure as well as faster diagnosis of patients in the ER during on and off -hours. On top of that, TRUDI could eventually be used to do heart and vascular ultrasound execution in remote, frontier and battlefield locations, and for community and wellness programs, particularly related to vascular health screening for cardiovascular disease prevention. With TRUDI patients can gain access to cardiovascular ultrasound specialists around the world and get better, wider access to high quality ultrasound diagnostic services. THR will be using the money raised to enhance its telerobotic ultrasound system for full scale echocardiography in tAVR. Currently the system is capable of vascular imaging. Jeff Soble, MD, CEO, Chief Medical Officer – Dr. Soble is an Associate Professor at Rush University Medical Center and Director of the Coronary Intensive Care Unit. He draws on thirty years experience in medicine (largely in echocardiography) and healthcare entrepreneurship. Linkedin. Sarah Doherty, CTO – Ms. Doherty is a biomedical engineer and former healthcare strategy consultant. Linkedin. Dr. Partho Sengupta – Dr. Sengupta is Director of Cardiac Ultrasound Research and an Associate Professor of Medicine in Cardiology at Mount Sinai Medical Center. He worked with THR on the viability study and JACC article, and has spoken about THR’s technology at several clinical and innovation conferences (see video.) LinkedIn. Dr. Rami Doukky – Dr. Doukky is an Associate Professor of Medicine and Radiology at Rush University Medical Center and the Director of the Nuclear Cardiology and Stress Testing Laboratories. He worked with THR on the JACC manuscript and secured funding for THR’s on-going multi-center human clinical trial from Rush. LinkedIn. Cameron Brackett – Mr. Brackett is Vice President of Memphis Bioworks Foundation. 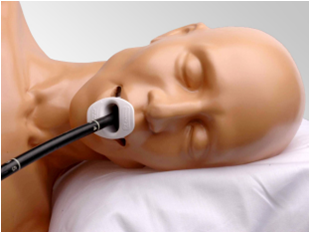 Previously, he was Director of Research and Development for the global Honeywell LifeCare business. Cameron has also worked as an engineering leader at GE Healthcare for Ultrasound and Centricity Cardiology/Radiology. Cameron brings a wealth of knowledge to the TeleHealthRobotics project, particularly in the areas of engineering design and FDA certification. LinkedIn. We are excited to bring the world’s first tele-robotic echocardiography and cardiovascular ultrasound platform to you today. Thanks for your attention and support and many thanks to the MidWest American Heart Association for selecting us as a finalist for their Open Innovation Challenge! If you have questions or want to consider TRUDI for your hospital, cath lab, or practice, please do not hesitate to email or call us (312.622.0550). Additionally, all of the Rewards we’ve created to the right are our guess at how you might be interested in supporting us. We’d love to hear any other suggestions you may have for ways to engage with or support this MedStartr campaign and TeleHealthRobotics in general, so don’t hesitate to reach out about that as well! P.S. 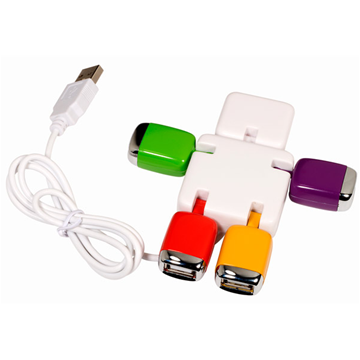 Check out our little USB charging bot, one of the Rewards at right.